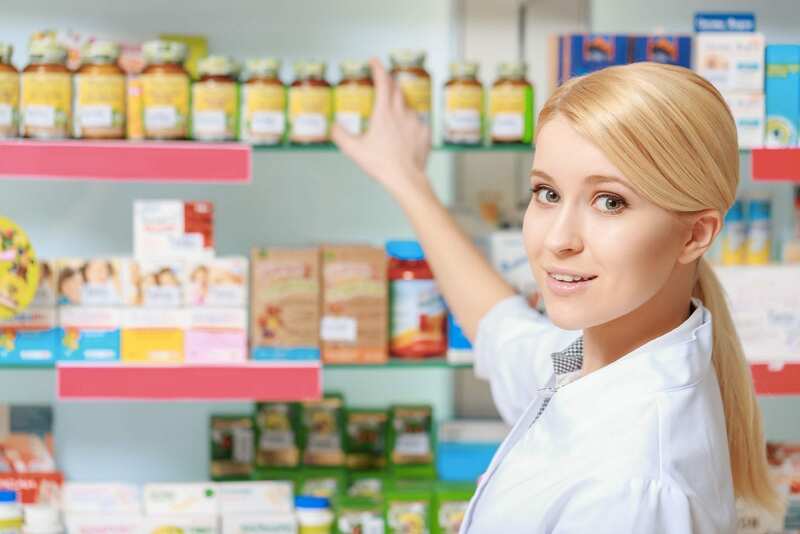 The multi-faceted pharmacy technician is an indispensable part of the pharmacy team. Through close work with a pharmacist and other pharmacy staff, technicians are able to serve public needs in the acquisition of medications and related products. From answering the phone to handling prescription orders, inventory, purchasing, and administrative tasks, pharmacy technicians give pharmacists the freedom to keep current with new medications and technologies and counsel clients when needed. Job growth for technicians is expected to surge in the next decade due to the aging population and advancements in the drug distribution systems. Pharmacy technician graduates find employment in local pharmacies, hospitals, nursing homes, insurance companies, pharmaceutical manufacturers, and online pharmacies. Arizona College prepares pharmacy technician students with the technical, administrative, and customer service skills to support pharmacists in a community or institutional pharmacy. The curriculum covers essential topics to help students succeed on the PTCB exam. It will include lectures in the classroom, hands-on practical experiences, and opportunities to use the newly acquired skills in a real-world setting. Instructors and counselors also provide post-graduation support to all students. Course topics include drug classification, prescription processing, pharmacy practice, pharmacology, law and ethics, medical terminology, inventory control, abbreviations, and brand name and generic drugs. Arizona College offers flexible morning and evening schedules, private tutoring, open labs, and peer mentoring. The 34-week program spans a period of three quarters. A new class begins every 5 weeks. The program is accredited by the ASHP, and graduates are encouraged to take the PTCB to become CPhT. The program’s tuition is $15,499. The one-year pharmacy technician program teaches students how to deliver pharmaceutical services under the supervision of a licensed pharmacist in a pharmacy setting. The program is open to West-MEC district residents. Students may apply in their junior or senior year. Applicants must present a copy of their birth certification, a copy of an unofficial transcript, proof of immunization, one credit of English, lab science, and algebra with a grade C or better. Courses covered in the 450-hour program include customer service, pharmacy law, medical terminology, pharmacology, preparing prescription medications, inventory control, pharmacy operations, and administrative tasks. Students complete the program in 12 months and are eligible to take the PTCB exam to become certified pharmacy technicians. Western Career Training prepares pharmacy technician students for licensure in Arizona. Interested persons must have a high school diploma or GED and a valid state ID and social security card. All students must be 18 years or older. The program includes a mandatory clinical externship, which requires students to obtain criminal background clearance, current immunizations, drug screen, and fingerprinting. The program covers 240 clock hours of classroom lectures (120 hours) and clinical experience (120 hours) to produce students who are skilled as they are knowledgeable. Course topics include inventory control, medical abbreviations, pharmacy terminology, drug classifications, technology, pharmacy calculations, drug formularies, and management. Medstar offers two class schedules. A day class that meets 4 days a week from Monday through Thursday from 9:00 am to 2:00 pm and an evening class that meets 4 days a week from5:00 pm to 10:00 pm Monday through Thursday. The program’s duration is 9 weeks. The tuition of $2,125 includes registration, background check, top 200 drug flashcards, and uniform top.